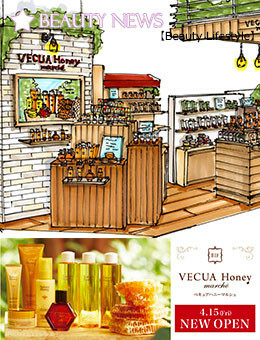 Kyoto 's first store " VECUA Honey Marche " will open New !!! : Happy Aging & Beautiful Anti Aging loving. Through the honey and natural material that has been nurtured in the woods, the concept that want to deliver a time-relaxing every day. Skin care that will moisten the skin and heart, and hair care items.